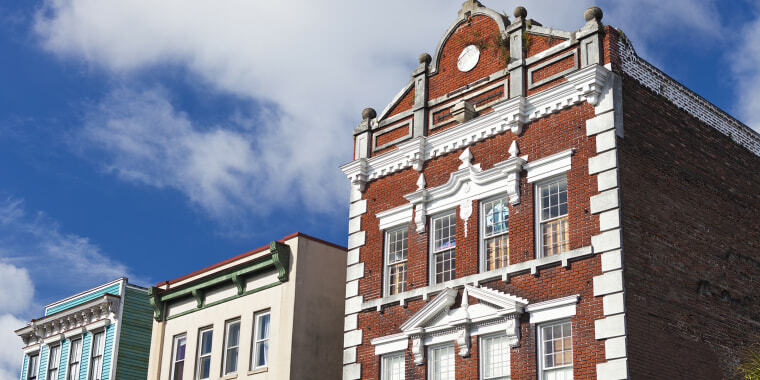 Adults and kids will love this charming port city, known for its beaches, eclectic Americana architecture and vibrant Lowcountry food scene. A trip to Fort Sumter, an island west of Charleston where the Civil War's first shots were fired, starts with a relaxing ferry ride. Kids 12 and under can sign up for the Junior Ranger program, where they'll be given a badge after completing a list of activities. Isle of Palms, with lifeguards, chair and umbrella rentals, shady picnic shelters and a playground, is one of the area's most family-friendly beaches (it's about 12 miles outside downtown Charleston). At Charleston's South Carolina Aquarium, visitors can observe the Sea Turtle Care Center, where 100-plus–pound loggerheads and terrapins are rehabilitated with the goal of being released back into the wild. The boutiquey Ansonborough Inn has a central downtown location and a rooftop terrace offering views of the city's steeples and the USS Yorktown, a World War II aircraft carrier docked across the river. Rooms are appropriately gracious, with floral bed linens and oil paintings, and there are many excellent configurations for families (such as lofts and junior suites). Prefer a beachy vibe? The Wild Dunes Resort in Isle of Palms offers a mix of classic hotel rooms, cottages, condos and standalone houses, all in a range of prices. To minimize schlepping, Wild Dunes guests can reserve items like jogging strollers, Exersaucers and high chairs through Babyquip, a baby gear rental company, at a discounted price. At Vickery's Bar & Grill, which is surrounded by water on three sides, every table has a great view — not surprising when you consider the restaurant's street address, which is "Shrimp Boat Lane." As you wait for your fried green tomatoes or Lowcountry seafood sauté, keep an eye out for dolphins playing offshore and, of course, fisherman bringing in their haul. You're in Charleston, so you might as well eat on the front porch of a gracious historic home like the one that houses Cru Cafe. Chef John Zucker graduated first in his class at Le Cordon Bleu in Paris and calls his cuisine "eclectic modern," but the menu also has items little ones will enjoy, like mac and cheese, truffle fries and pasta.